This article provides 12 productive ways to spend your free time. Each listed item is accompanied with creative and productive ideas and suggestions. Bonus: we’ve just added #13. In these hectic days, finding even a little spare time may seem like a futile enterprise. That’s why when some time opens up, you’ve got to have a good plan on how to best use it. Here are some ideas to aid you in those times where you actually have a choice of how to best spend your time; 12 productive ways to spend your free time. The book Leave the Grind Behind is all about making the most of your life. Our time is limited, so we want the most from it. While the book dives into how to make the most of your time working, let this post help you make the most of your down time. This article was originally published on Victory Coaches, written by Thomas Powers. It has been adapted for justingesso.com by Jusitn Gesso. Want more free time? Check out our post 5 Ways to Optimize Your Time Management for some unique ways to maximize your time. Having a reading list can help keep knowledge of your industry, other industries, or just life in general, sharp. There is a lot of good reading out there, some classics, some new. You should always have a book that you are reading and a book that you plan to read next, even if it takes a while for you to read it. Better yet, get hooked on audio books. Listen while you drive and commute. Make “stuck in traffic” and awesome way to improve yourself. Psycho Cybernetics by Dr Maxwell Maltz. The best book ever written on the incredible power of visualization and your subconscious. How to Win Friends and Influence People by Dale Carnegie. Learn how to be your best with people A-Z. Learn to ask for what you want. Secrets of the Millioniare Mind by T Harv Eker. Ditch poor mental conditioning and think smarter about money. Maybe there is a course or subject you were always interested in but never got to take. Maybe your interests have changed since you were in school. Maybe you just want to make sure you don’t forget statistics. Whatever reasoning you have, there is an abundance of free websites and apps out there to keep you sharp on just about any subject you are interested in. While it may be true that you can never truly learn a language without being fully immersed in it, these resources come pretty close. They may even inspire you to travel to a country that speaks one of these languages natively. You probably spend a lot of time and energy making money, so it’s incredibly important to make sure your money is working for you too! Planning your money doesn’t need to be difficult. 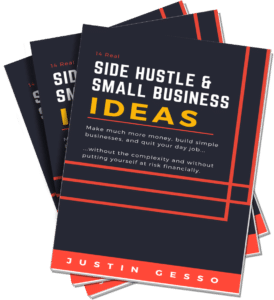 In fact, getting a handle on your finances now can set you up to leave your W2 job and start making money in much more exciting ways–as a freelancer, consultant, or entrepreneur. It’s shocking how little money you need to save per month to be ready to buy a home…or an investment property within 2 years. Start now, and you’ll thank yourself in no time. Use Personal Capital for free. It allows you to see all of your accounts in one place. It helps you with spending, net worth, and provides incredible dashboards to simplify your financial life. If you want to outsource your financial management, they can do that too for a very reasonable rate, but that of course is optional. For me, Personal Capital provides way more insight and simplicity than other options like Mint. There are loads of free or paid apps available for you to play whenever you have a quick minute to kill throughout your day. They can help keep your mind sharp and may even improve your cognitive abilities. Think of it like exercise for your brain. Rather than mindlessly browsing through your Facebook or Twitter feeds, maybe you should consider keeping your mind in shape. Meditating is a great way to relax, escape stress, build better energy, or even improve your focus. Affirmations are simple, memorable, over-the-top statements that you read and/or listen to multiple times per day. Either of them can help you overcome a negative trait, habit, or self-image. They can also make huge goals seem more reasonable, which makes them more achievable. Meditating with affirmations is a very productive way to even spend 15 minutes. What better way to give back to the community. On Maslow’s hierarchy of needs, this is definitely the “self actualization” level. Volunteering can give you a sense of purpose and meaning in life. It can help you realize potential you never had and will also bring you closer to those who could use your help. Probably the most noble item on the list. Visit volunteermatch.org and find a cause that inspires you and get in touch with the right people to contribute. Visit idealist.org and post and find opportunities that match your unique interest. Exercising relieves stress, helps you sleep better, helps you look and feel better, and, of course, keeps you healthier. This is pretty productive for your body. If you can find something that you enjoy doing while you exercise, even better! I love play basketball so playing in a men’s league or a pickup game is my medicine. When your body is productive, your brain will be too. Do the normal gym routine or even download a fitness app. If you want to be entertained, why not make it educational? Rather than watching the Real Housewives of Whatever, it might be more productive to hear someone intelligent and experienced teach you something. I myself am a big fan of history and nature. Count me in for anything analyzing American history or studying creatures in a strange habitat. It’s a good idea to have a list of things you want to do before you die and what better way to spend a pocket of free time crossing one or more of these items off of your list? The key here, though, is actually knowing what’s on your list. This is a productive way to have little regret on your death bed. Track and achieve your own bucket list at http://bucketlist.org. Sometimes it’s actually worth it from a productivity perspective to lay around without any plans or concerns forgetting about your stresses for a little while. Relax and recharge your batteries. Sleep in. Watch movies. Hang out. Take a nap. Whatever you need to return to work with renewed vigor. This renewed vigor is the key though, otherwise you are just laying around, which of course can’t be very productive. If you have kids or a family, there is nothing more important or valuable as family time. The time you have to spend with your family is an hour glass that is running out. Missing out on these activities carries the most regret as anything on this list. Buy a book! 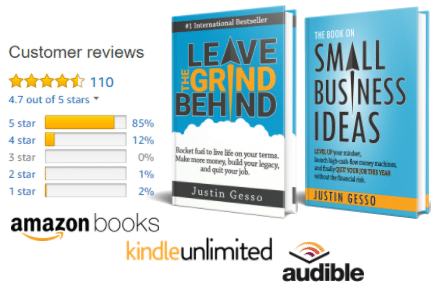 Grab a copy of my Best Seller Leave the Grind Behind for a massive start on this. If you’re fully committed, it’s time to seek a professional 1-on-1 coach. For general success, you can look at something like Jack Canfield. I also use coaches focused on specific professions, such as The Core. We live in busy times, and they just seem to get busier. At the same time, the options for spending free time seem to be growing at the same rate. Maybe if we are smarter about how we use our free time, we can reduce the stress of the rest of our time and, if not, we can at least prevent our work life from impeding on our personal growth. That’s the first I’ve heard of it. Looks interesting…thanks for sharing.